As a vehicle owner, you probably don’t consider washing your vehicle to be as important as other types of maintenance, but there are many reasons why washing your car, truck or van can preserve its appearance and protect your investment. Capital Volvo Cars of Albany is staffed by a team that wants to see you get the most from your vehicle, and we offer the following facts on why it’s critical to keep your car neat and clean. Whether you’re in the market for a new luxury SUV because you like a high-performance motor, premium interior features, classic exterior amenities or all of the above, you’re sure to love the new Volvo XC60 R-Design. Our personnel are standing by to offer you a closer look and arrange for your real-world test drive right away. Fuel and power efficiency continues to drive automotive transmission and engine designs. 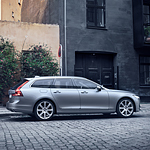 The 2019 Volvo V90 is a luxury wagon that showcases the latest innovations devised by Volvo's engineers including driving modes and the Geartronic Automatic Transmission. Are you ready to find a new vehicle to take you around in Albany? The Volvo XC90 is not only a popular luxury SUV option but it is a vehicle made to keep drivers like you happy. 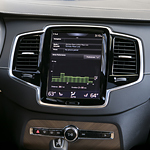 The team at Capital Volvo Cars of Albany is excited to share about the technology features of this vehicle and the way that they can help you in all of the driving that you do. 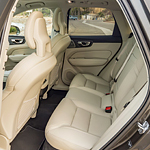 When choosing a luxury car for your daily driving, you know that comfort is always key. If you put comfort above everything else, you should check out the interior of the Volvo S60, which gives you the luxurious and comfortable feel you crave. Perfect for those daily drives to the office, the Volvo S60 will feel just as comfortable during road trips and long family vacations. Starting at $42,900, it features a nine-inch touchscreen in the dashboard and a digital driver display that measures more than 12 inches in size. The 2019 Volvo XC 90 and 2019 Audi Q7 are both versatile and intuitive SUV's, but if you read the below comparison, you will see why the Volvo XC 90 is the most awarded luxury SUV of the century. Take the next step and visit Capital Volvo of Albany for a test drive. The Volvo S90 is becoming more and more popular due to the luxury it provides to drivers. Some of this luxury includes a push-start button, an automatic rearview camera, and an eight-inch screen on the dashboard. Are you looking for a compact SUV? Are you looking for a luxury vehicle and one that has an exterior that stands out? 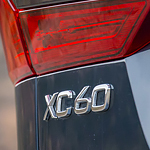 Check out the popular compact luxury SUV that is the Volvo XC60. You will be surprised at all of the ways that this vehicle fits with you and your tastes. 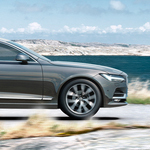 When you are in the market for a luxury sedan that handles well and includes strong technological and safety features, you will want to read the below comparison on the 2019 Volvo S60 against the 2019 Audi A4. 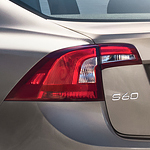 The Volvo S60 is beautifully-balanced inside and out with great fuel economy and a multitude of technology and safety features. Visit Capital Volvo of Albany in Albany, New York for a test drive.